1963 – Porky’s Pizza Palace is founded by the Marrone family and became the hub of the Washington Manor area family and sports teams. 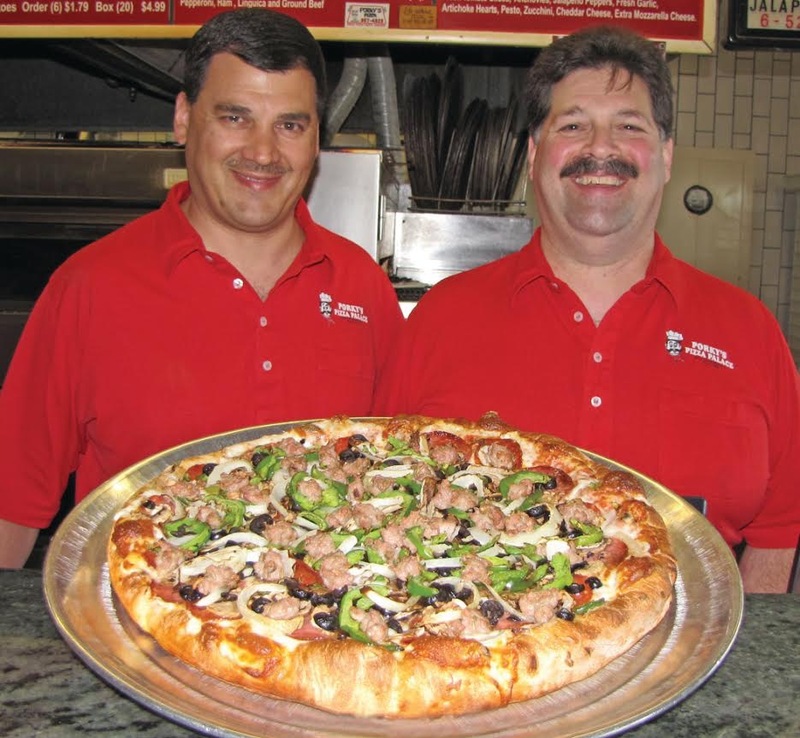 1983 – The Valenziano family purchases Porky’s Pizza Palace after moving from Illinois. 2006 – Sal and Shirley Valenziano retire, leaving day-to-day operations and management to their sons, Gregg and Gary Valenziano. 2013 – Over 500 $1 large cheese pizzas are served on our 50 year celebration, gathering old and new customers alike to help us celebrate! 2013 – Porky’s Pizza celebrates 50 years in the San Leandro Community! 2013 – Porky’s Pizza Palace competes in the International Pizza Convention in Las Vegas, Nevada. 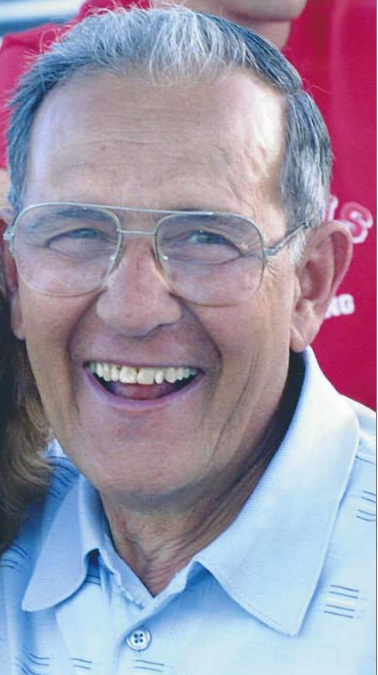 Sal, a gentle, kind-hearted, caring and compassionate man, died peacefully Saturday at his home in Pleasanton, surrounded by his loving family, after a courageous battle with cancer. He was born on October 9, 1932 in Chicago, IL. He married his teenage sweetheart, Shirley, in 1956, and raised three wonderful children. Sal and Shirley opened their first restaurant, the Yum Yum Drive-In in Marengo, IL in 1969. They moved to California and purchased Porky’s Pizza Palace in 1983. On any given day, you mention “Porky’s” and people have life long memories of good food, good friends and a feeling of home. For 25 years, it has become a family tradition to gather every Thursday for Banjo Band night. Sal was not only the owner, but the cook, the greeter and the custodian, working hard to provide for his children and their families. He easily gave his heart and spread happiness to those around him. He was respected by everyone who knew him, and deeply loved by his family and friends. Growing up, Sal served in the Korean War and thoroughly enjoyed his large Italian family in Chicago. A lover of simple things, his passions were fishing, traveling with his wife, gardening, and going to the theater with friends. Sal loved cheering at his grandchildren’s sporting events… basketball, water skiing, hockey and football. A great day would be when he could spend his entire day watching all three of his grandchildren. Sal would often smile with mischief, like a kid, pulling chocolate caramels out of his pocket for the girls and boys at CYO and Hart Basketball games. He was “Grandpa” to many, who will miss him deeply. Sal is survived by his wife, Shirley, of 49 years; his three children, Gary and wife Jodi, Gregg and wife Patsy, and Glenn, as well as grandchildren Nicholas, Emily and Anthony.